NOTICE: November 19, 2016 at 10:30 a.m., Stuart Smith formally announces that he will not be running the Web Development Special Interest Group any longer. Please read this blog post with more details: Web Development SIG: So Long, and Thanks for all the Free Web Development Training! Thank you to the many presenters who have made the Web Development SIG a success for over 20 years. The WebSigCleveland.org is partnered jointly with the Cleveland Digital Publishing Users Group & the Greater Cleveland PC Users Group. WebSigCleveland.org provides monthly web development educational programs on the third Saturday of most months. Email Notices: The SIG uses the Yahoo! Group websigcleveland (http://groups.yahoo.com/group/websigcleveland/) to send notices about the Web Development SIG. Sign up for the websigcleveland group to receive notices. Website: You can use www.WebSigCleveland.org to come back to this web page. Please come back again for updates on meeting information. Please add the www.WebSigCleveland.org link to your website or blog, so that others can learn about us. Location: Notre Dame College, 4545 College Rd, South Euclid Check meeting announcement below for room details. 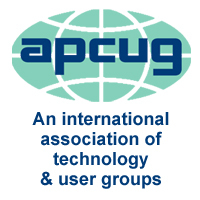 Past Meetings: We are very proud that there has been an active web related SIG since the late 1990's. Check out some of our history.